¡HOY! ¡Mesa de español! 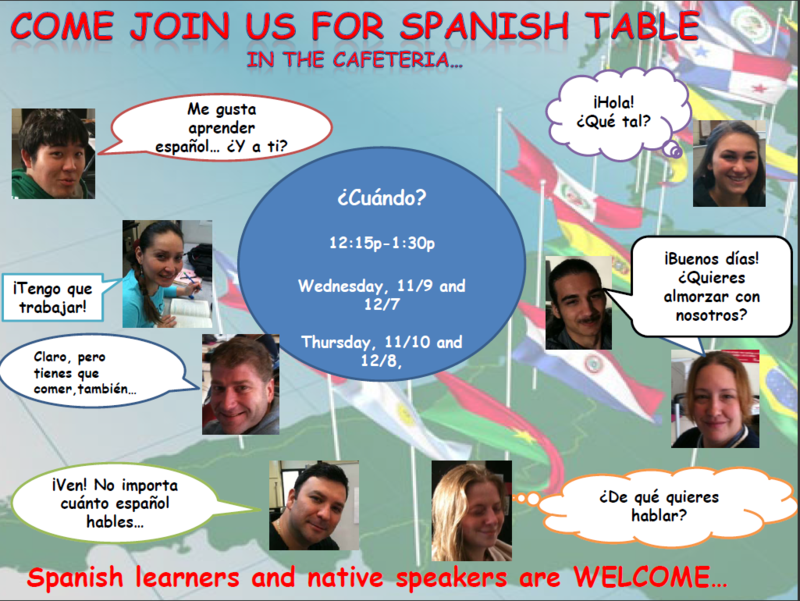 Spanish Table, TODAY 11/10/11, in G-9 in the Cafeteria! This entry was posted in BCC Spanish Classes ~ Fall 2011 & Spring 2012, Cool Cultural Information, Language Program Announcements and News, SPA 101 ~ Fall 2011, SPA 201 ~Fall 2011, Uncategorized by Lois B. Cooper. Bookmark the permalink.